It's a tough ride for Mother's of the Groom, traditionally the mother of the bride is more heavily involved in the planning process and this causes MOG's to be afraid of stepping on toes. It is customary for the grooms Mother to call the Bride’s Mother to express her happiness of the upcoming nuptials or to informally invite her to dinner. How lovely. The Grooms Mother must provide a guest list to the couple in a timely manner and to be appropriate in the number of guests she invites, if that's allowed of course. The Bride’s Mother will be the first to choose her gown for the Wedding, the Grooms Mother must then choose a gown that complements the Mother of the Bride and the Bridesmaids without matching them. Again, maybe last century but these days I think there's a little more leeway. 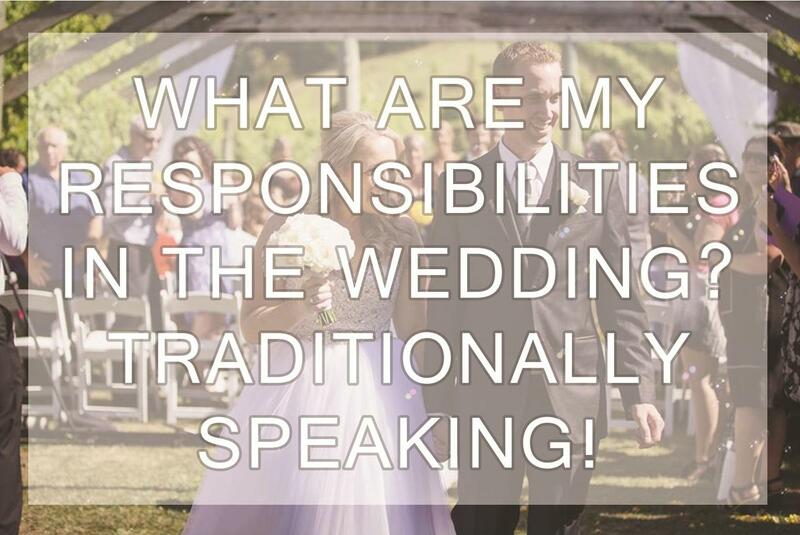 It is the responsibility of the Grooms Parents to host the rehearsal dinner no matter how informal or elaborate they choose. Traditionally the Mother of the Groom is escorted into the church by a family member whether it be the Groom himself, Groomsmen or Usher. She will be seated on the right hand side, front pew with husband in tow. Candles may be lit at the altar prior to the Bridal Party entering; both the Mother of the Bride and the Mother of the Groom can be involved in this. The Grooms Mother also stands in the receiving line at the reception, greeting guests. She would be placed between the Bride and her Mother. The Brides Mothers main responsibilities are to see that the Brides wishes for her day are carried out. The Mother of the Bride is essentially the hostess for the event. In the event that the Mother of the Groom does not make contact then she may. Awkward! She will help the Bride with choosing her dress. See to the invitations and guest list. Choose her gown for the wedding and notify the grooms Mother of it's colours/style. Organize the receiving line at the reception. Candles may be lit at the altar prior to the Bridal Party entering, both the Mother of the Bride and the Mother of the Groom can be involved in this. Co-ordinate with the Maid of Honour. To attend all parties thrown by or for the Bride and Groom. Be sure to keep in contact with Bridesmaids to make sure they keep their appointments. Arrange for rose petals to be showered over the Bride and Groom as they leave the ceremony. Help the Bride and Bridesmaids with getting ready on the day. Assist the bride with her train during the ceremony. Hold the Brides bouquet during the ceremony and in the receiving line. Help the Photographer identify the members of the bridal party for photos. Witness the ceremony and sign the Marriage Certificate. Stand at the Grooms left with Bridesmaids to the right in the receiving line. With the Best Man, help the Bride and Groom depart. Take the Brides gown to the cleaners or her home whichever she wishes. The responsibility of the Best Man is to be the Grooms ‘wing man.’ To guide him through the wedding day, make sure he is in the right place at the right time. Collect the Officiator's fee from the Groom to pass on following the ceremony. Help the Groom dress on the day. Make sure travel arrangements are set. The Best Man rides to the church with the Groom. To organize the ushers on the day. Check the men’s boutonnieres– left lapel/stem down. Be first to the reception to welcome the Bride and Groom. The Best Man makes the first toast/speech to the groom. The Best Man acts as the host bringing the guests together and making them feel welcome. He should dance with the Bride and both mothers. Return the Grooms tuxedo or suit to the appropriate place. To witness and sign the Marriage License. Well, there you have it! Interesting stuff.